A beautiful card Sylvie, a fabulous design and lovely colours. 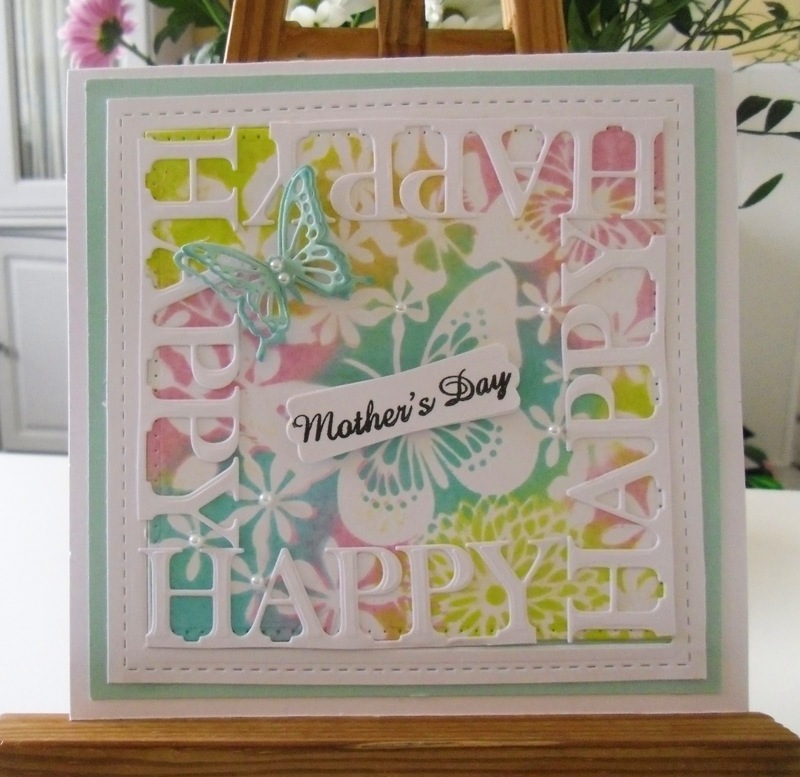 I love the soft pastel colours and pretty design behind the die cut sentiment. Looks very pretty in the pastel colours. Hugs Mrs A. Wonderfully designed card, Sylvie--love the colors! I know what you mean about missing your mom. I'm now older than my mom was when she died. Thankful to have happy memories. What an amazing creation, I love the texture background and the beautiful spring colours. I forgot: Thanks for the friendly comment at the Penny Black Challenge. A gorgeous card Sylvie. Love the way you've used the dies, and the pretty background colours look fab.